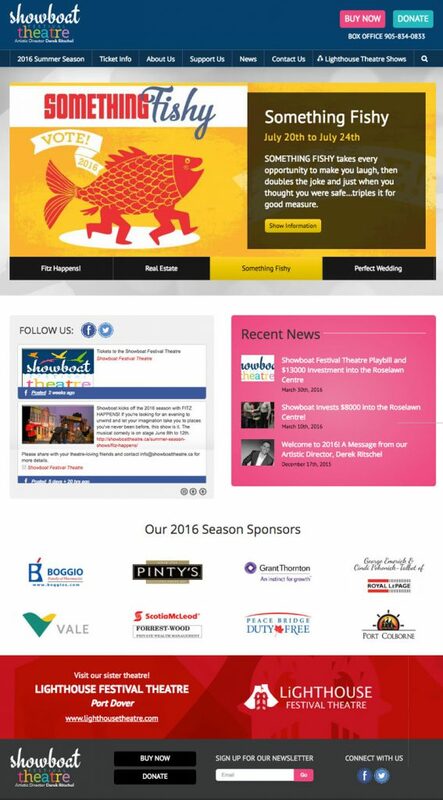 After doing an incredible job on the Lighthouse Festival Theatre website project, the affiliated Showboat Festival Theatre was very interested in updated their website as well. We had discussed this option earlier when developing Lighthouse’s website and planned our design and development accordingly for simply duplication. The result was a consistent look and feel, with integration between the two theatres, yet maintaining a distinct brand for each, and major cost-savings. It goes without saying that the theatre and it’s patrons love the new website! Wordpress was an exceptional choice for developing the original Lighthouse Festival Theatre website making it incredibly easy to duplicate and update for Showboat Theatre. Since the functionality and framework were already in place, our focus was on design. With the cost savings, we were also able to make some improvements across both websites.